Documentation in some companies is stored for decades. To important papers don't get crushed or lost, they need to be filed into folders from hard cardboard or plastic. To identify each contract let's separate room. To need the contract was easy to find, get the book keeping. Assign the document number and enter it into this log. In addition to the number, enter the date of the agreement. The journal entry should look like this: 1. contract No. 123ТП from 22.02.2011. In notes you can specify the essence of the contract, when required by the corporate style documentation. If the company has multiple legal entities, create for each of my book contracts. Use symbols symbols. For example, the agreement of JSC "Masha and bears" record as 123MM. And securities of JSC "Three little pigs" mark 123ТП. Assign rooms in order to avoid confusion. When the contract has passed all approvals, signed by the CEOs of both sides, stamped, it can be filed in a folder. Choose the folders in hard cover - they will ensure the documents safety. For each legal entity requires its own folder. Before how to hem a document to a folder, carefully remove the clip holding the leaves. Take the hole punch and punch new holes. Attach the document to a folder, and secure his special antennae. Peel off one contract from another clean A4 sheet. Filed contract and other method. This will require a transparent file. Every document put in a separate file and secured in a folder. 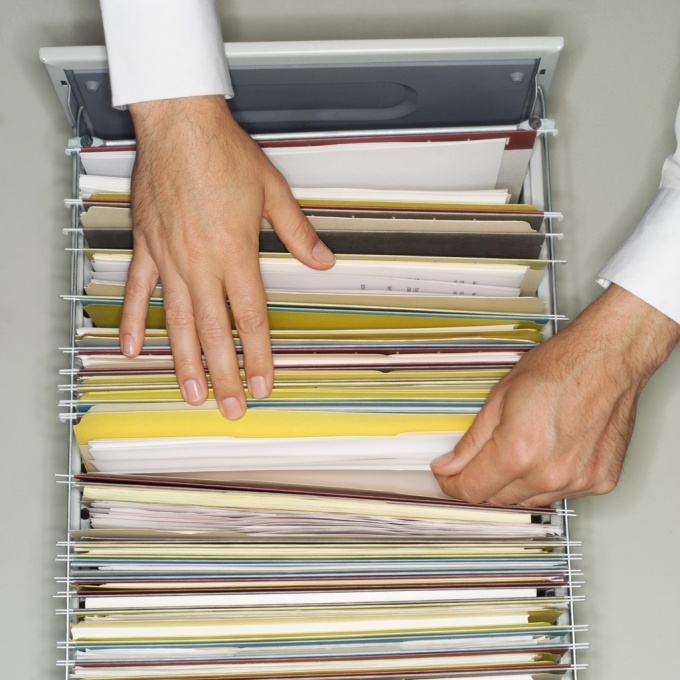 Do not store in the same folder too many contracts - they can bruise. The folder should be easy to close, the individual sheets should not stick out. Storage folders with contracts, have a separate shelf in the closet. On the folder write the company a legal entity which owns the documents. This will allow you to quickly find the necessary papers, if necessary. Folders with contracts of three years ago, there is no need to always keep on hand. Place them in cardboard boxes, signing, the company legal person who has signed the documents. Box send to the warehouse. Choose to store dry place. Humidity is detrimental to the paper.